Read our helpful guide to second hand JAGUAR XF. AA Cars works closely with thousands of UK used car dealers to bring you one of the largest selections of JAGUAR XF cars on the market. You can also browse JAGUAR dealers to find a second hand car close to you today. 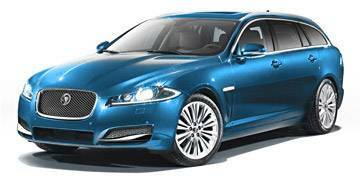 All used JAGUAR XF on the AA Cars website come with free 12 months breakdown cover. First launched in 2008, the Jaguar XF is an exemplary mix of performance, refinement and style, and one which seriously challenges the luxury German cars who would normally have a class like this wrapped up. Laden with wooden panels, leather, touch-screen sat navs and voice control, it is impressively equipped, yet this is arguably only secondary to its smooth and responsive handling, raw power, and the refined ride it offers up on the road. Granted, its not something you want to turn up to a Green Peace meeting in (it being decidedly environmentally unfriendly in comparison to other modern cars), but if you can afford it, the draw of the 3.0 litre, 271bhp diesel, may be too strong to resist.